Enter your Swire Shipping tracking number below, should have format JSSU1234567, get the real-time Swire Shipping container status. Swire Shipping is the brand name for all liner shipping services operated by The China Navigation Company Pte Ltd (CNCo). We have provided niche, regional, multipurpose shipping services since 1883 when CNCo established liner services in Australasia. From our traditional core trading area, the Asia – South Pacific region, we offer shipping links between over 130 ports in Asia, the Pacific Islands, Australia, New Zealand, North America, Europe, the Middle East and the Indian Sub Continent. If you have problem with our container tracking system, please track your container directly on the Swire Shipping website. If you get no tracking information from Swire Shipping official website, you’d better contact Swire Shipping. When you ship with Swire Shipping, you will get a Swire Shipping container tracking number with format JSSU1234567, JSSU is Swire Shipping’s prefix. 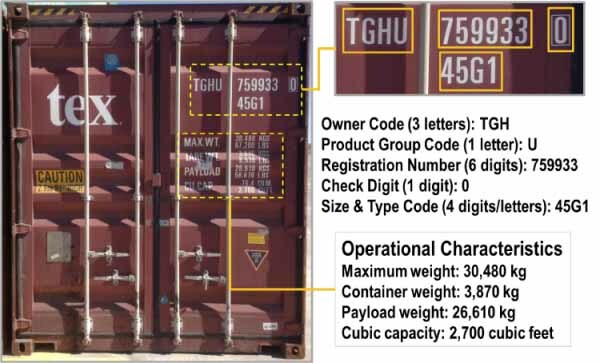 Know more Swire Shipping container tracking number information from below picture. If you have problem with our Swire Shipping Tracking system, submit your problem here, we will help you as soon as possible. Declare: We can NOT contact carrier or others on your behalf, we can only help you track your package with your Swire Shipping Container tracking number on official tracking system.